After having explored synthesis methods that have opened the doors to the most extravagant worlds of sound, today I invite you to tread a more conventional path: The artificial reproduction of well-known acoustic timbres, the reason for being of physical modeling synthesis. However, as you are about to see, this form of synthesis can easily stray away from this primary function to create unheard-of sounds. If you go back to the first articles in this series, you might recall that sound is mainly made up of vibrations. As a general rule, the basic operating principle of a music instrument is the following: Energy is applied to the instrument; this results in vibrations that are amplified by means of a resonator, which, in turn, transmits the amplified energy into the surrounding air, making it audible. It's precisely these vibratory characteristics that physical modeling synthesis tries to emulate. A fundamental principle of physical modeling is the relation between the exciter and the resonator. The excitation is produced by an action (the plucking of a string, the blowing of a horn, the striking of a bow) that produces vibrations, while the resonance is the response of the instrument's body to these vibrations. What makes physical modeling (PM) synthesis interesting is its capacity to emulate all interactions between exciter and resonator. PM synthesis entails determining the dimensions and constants of the instrument that is being modeled (including, among other things, mass and elasticity) in order to define the type of exciter used: Reed, string, membrane, etc. Then, the initial state of the vibrating object is defined, as well as the conditions that will constrain it. The latter can be realistic or not. You could, for instance, decide that a string should never return to the state of rest. The third stage consists of defining the relationship between exciter and resonator. For an acoustic instrument, this could mean the wooden sound box of a guitar or the metal pipe of a trumpet. But, once again, nothing stops you from having some fun changing materials, for example. Another important aspect of modeling is impedance, in other words, the natural resistance of the modeled materials and the medium in which sound is propagated. Finally, the sound propagation characteristics of each sound-producing mechanism can also be emulated. Lejaren Hiller and Pierre Ruiz were the first to apply the principles of physical modeling to instrument simulation, back in the 1960s. They conceived a mathematical system consisting in a network of masses interconnected with springs. 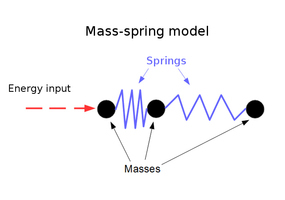 So, for instance, if a mass is excited by an external energy, it moves, compressing the spring attached to it. The spring, in turn, transmits the energy received to the next mass, and so forth. The right adjustment of the masses and the elasticity level of the springs allows the correct representation of all types of vibratory behavior. This principle can be applied to strings, drum surfaces, sound boxes...in short, to anything you can imagine. You can even simulate the external energy input by this means. 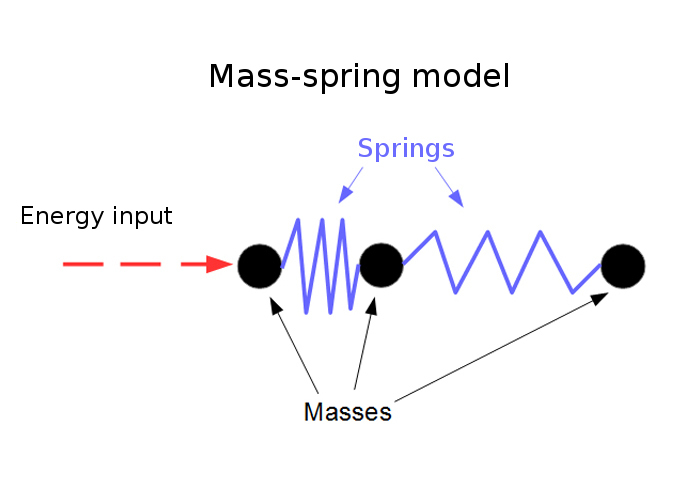 While the mass-spring representation is relatively simple to understand, it can quickly lead to pretty complex mathematical models that aren't very useful to musicians. In the 1990s, engineers looked for ways to make it more accessible by dividing the elements to be modeled into a certain number of sub-structures (like strings, bridges, drumheads…). Each of these sub-structures has its own characteristics and each of these characteristics had already been studied and transformed into mathematical models in the past, within the frame of industrial application development. Thus, it was enough to build upon this work and mask the complexity of the model with a simpler one to offer some sort of toolbox to sound creators. An example of such a toolbox could be, for instance, the Modalys software, developed by Jean-Marie Adrien and Joseph Morrison at the French Institute for Research and Coordination in Acoustics/Music (IRCAM). 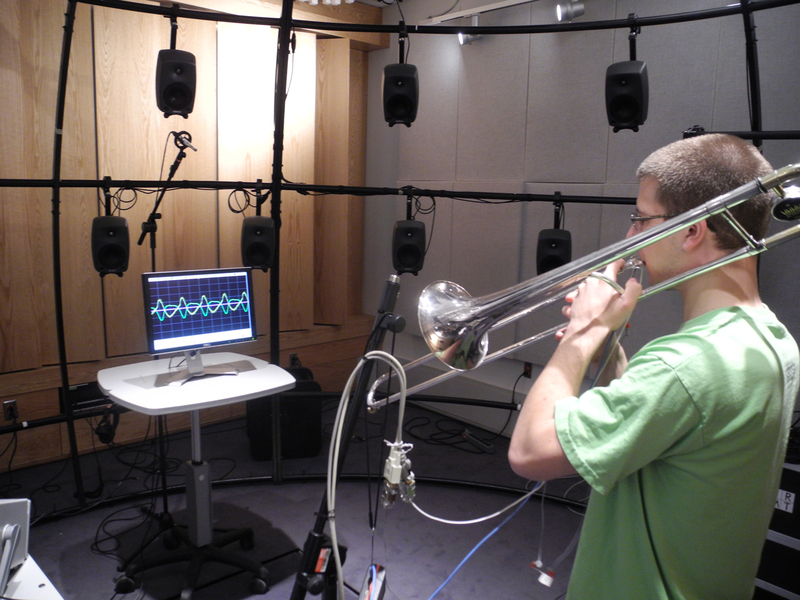 This is another form of synthesis whose goal is to make physical modeling more accessible to musicians. Except that this time, no sub-structures are modeled, but rather entire instruments. 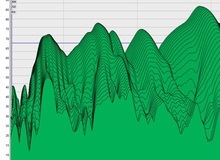 MSW synthesis is based on the time behavior of a signal. It is particularly well-suited at reproducing the behavior of musical attacks, especially when it comes to reed instruments (most notably of clarinets) and plucked strings. 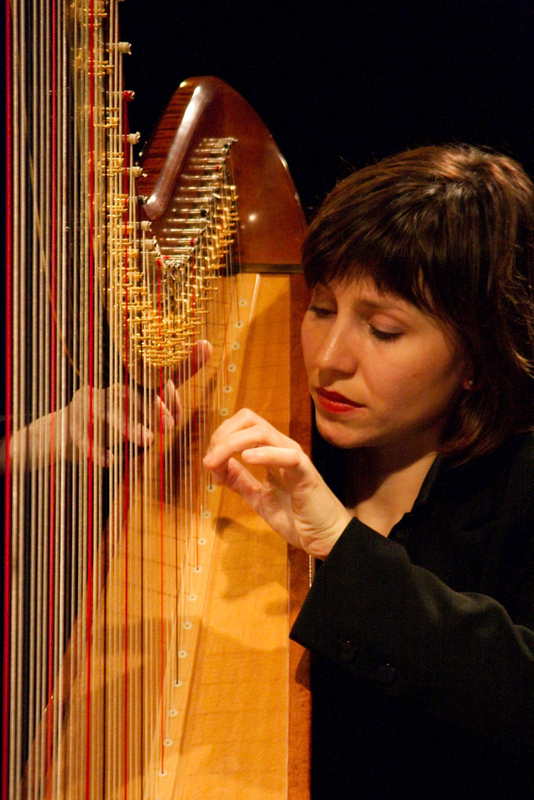 But it remains quite simplistic when it comes to other behavioral elements of an instrument.